In a string of opening new factories globally, KGK group added another silver jewellery manufacturing unit in Bangkok recently under the name of Trinity Creations Co. Ltd. A total of over 2100 sq. meter floor area, the factory is distributed amongst six floors with a capacity of 300 employees/ workers. 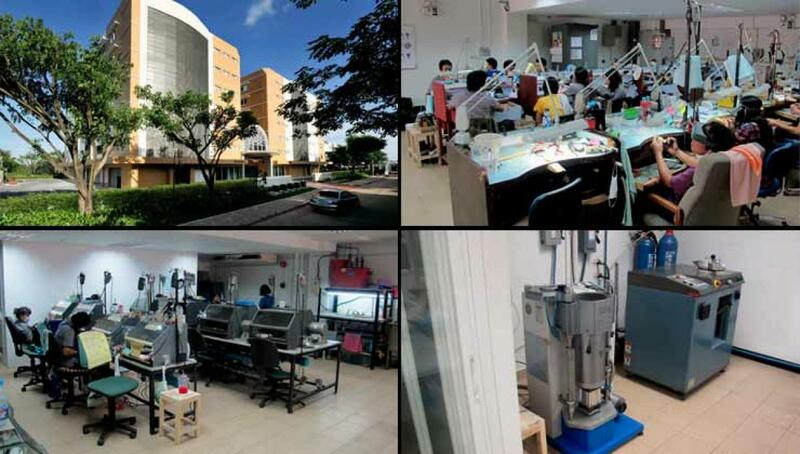 Bangkok: In a string of opening new factories globally, KGK group added another silver jewellery manufacturing unit in Bangkok recently under the name of Trinity Creations Co. Ltd. A total of over 2100 sq. meter floor area, the factory is distributed amongst six floors with a capacity of 300 employees/ workers. The unit is specialized to manufacture silver jewellery studded with diamonds, precious and semi-precious gemstones. Equipped with latest casting and laser machinery, the factory is currently producing 10,000 pieces per month but KGK has plans to take that up to 50,000 pieces per month.